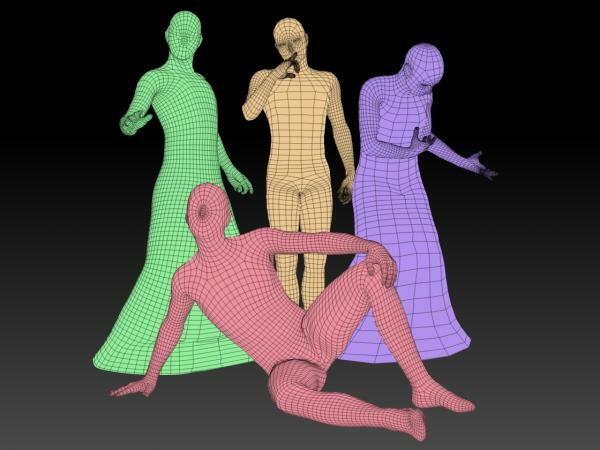 Four G2M starter meshes in Daz Studio scale. Two of them have simply been refit from my genesis starter suits (and share the same topology as their genesis equivalents), while the other two have had their topology evened out. Set also includes a boot base mesh. Austin (5 years ago) Inappropriate? Thanks, Joe. These will be handy. Boudicca36 (5 years ago) Inappropriate? I'm assuming these are to be used for clothing creation purposes? If so, I think this is great. Thank you!